On Saturday March 26, 2016 I had a bittersweet day. At Midnight, I danced my way into my 21st Birthday. I just knew that I was starting my year off with the biggest bang ever! I was finally 21 years old, and no one could take that from me. On the same day, I got the news that a near and dear friend of mine had passed away in a car accident, this friend was Kelsha Grant. I met Kelsha as a brand new student at Westside High School. My first day of school included no classes with Kelsha, except the best part of the day... lunch. My cousin Lannis wanted to introduce me to his friends that he sat with everyday. These friends included Brandon Bush, Jasmine Eunice and Kelsha Grant. I didn't know them and they didn't know me, but tried to embrace the nerdy freshman I was, because they were CLEARLY popular! Kelsha and Jasmine both sported jackets with "Patriots JV Cheerleader" across the right breast, Brandon and Lannis wore their JROTC uniforms. I didn't really know what it was about Kelsha, but she was special. Fast forward, I can remember junior year. Jenee Williams asked me to take her to Davidson Fine Arts' Prom. I had no idea where I was driving in my little car, however I stumbled upon what I had thought to be the biggest house I'd ever seen. I get out of my car in my tuxedo, and knocked on the door. Instead of Jenee answering the door, it was Kelsha. While I was thoroughly shocked and confused, I was relieved. Before asking me why I was dressed in a tuxedo at her front door, Kelsha invited me in and offered me some water, because I was obviously nervous. I told Kelsha that I was looking for Jenee's house. Kelsha reassured me that I was definitely in the right neighborhood, but Jenee lived up the street and my GPS must've gotten the address wrong. She showed me off and wished me luck. I was 16 when I bought my first camera. A Nikon D3000, I probably took over 3000 pictures that most of them ended up in the Yearbook, Facebook or some other avenue of communication. I can't make this up even if I wanted to, most of those pictures were taken of Kelsha Grant. Anytime I came around with a camera, she would bat her beautiful brown eyes, flash me her pearly whites that the braces had just came off of, and do one of her signature poses. All these memories of Kelsha made my high school experience so worthwhile. So, as you can see, to hear that horrible news on my 21st Birthday wasn't the brightest way to celebrate my day. I'm still processing on how or why it happened the way it did. What you may not know about Kelsha, was that she was extremely driven. I can remember around 10th Grade, Kelsha decided that she was going to take school seriously again. She would ALWAYS tell me about how she wanted to be an orthodontist, and at the end flash that huge smile. In the face of tragedy, I never find myself overly emotional. I often take that time to reflect. Reflect upon the legacy, life and laughable moments I had with that person. Kelsha is no different. This entire situation has brought back so much unity in the community I was brought up in. My friends who I hadn't seen since graduation emerged as young adults. The situations that tried to tear us apart didn't matter anymore, it was like we were back in 2013, all screaming at a Pep Rally to win the Spirit Stick! I went back to when sitting in first lunch was the best conversation ever, and how we all watched each other develop into adults. 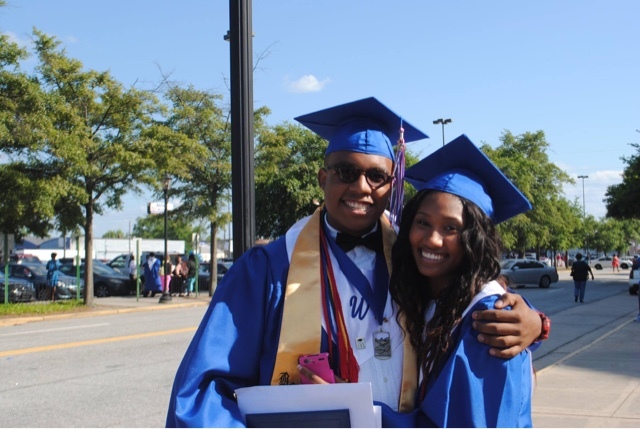 I have to thank Kelsha, because it was through her life, legacy and laughable moments that we were again brought together as some of the most sought after young adults Augusta has ever seen! Kelsha helped us to understand being black and being excellent and gorgeous and classy and full of life! Her positivity and light has set an example for so many young girls to come along. The memories that we have of her will help us to raise our daughters to be excellent, gorgeous and classy! I could go on and on, because there is so much that I can say. However, I will close with this. There is something about a tragic situation like death that makes everyone nervous about their own lives. However, I have so much peace about this whole thing. Peace about Kelsha, peace about her family, friends and everyone she touched, and peace that she is showing God how to strut in a pair of Christian Louboutins and watching over all of us! Kelsha, we love you, we miss you but just know that you have a special place in all of our hearts!